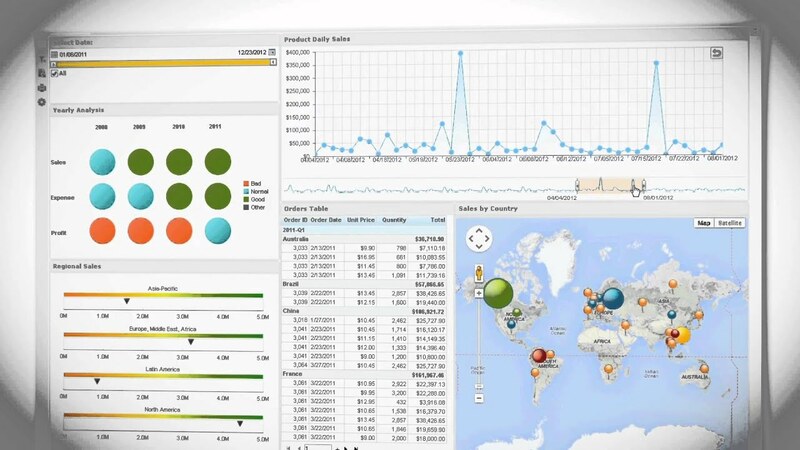 JDashboard delivers data visualization to users. As an extension to JReport’s reporting platform, JDashboard displays data in visual components such as maps, crosstabs, tables and charts. JDashboard uses a drag and drop framework and exports in formats including PDF, Excel, CSV, HTML5, and more. 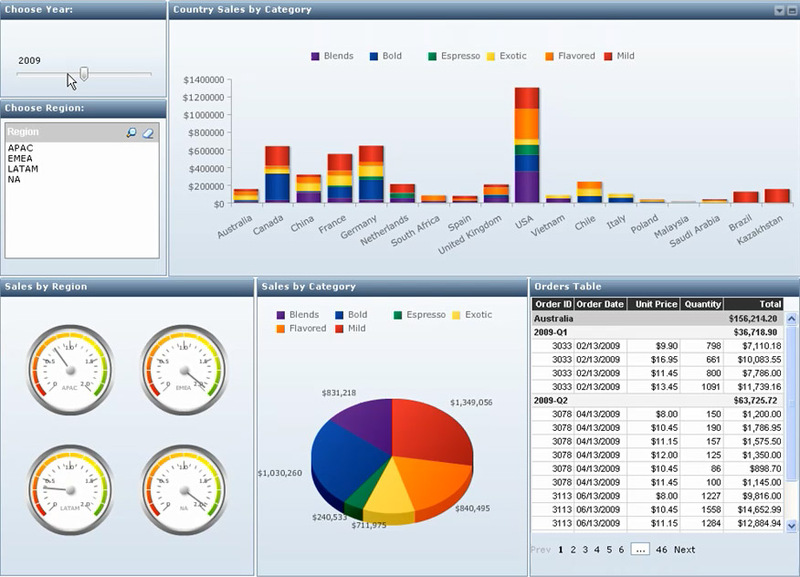 JReport Designer provides the ability to design sophisticated reports. Developers have access to intuitive Wizards to guide them through the process of selecting data sources, creating queries, and designing layouts. Designer also provides CSS style support. JReport boasts drill down, pivot, and slice & dice capabilities, all while using drag-and-drop simplicity. Enable agile, self-service data discovery with Visual Analysis and mash it up with other charts and tables into a single dashboard without expert assistance. JReport Mobile is available for free download. "The platform is very easy to use for my team. It’s easy to embed also. When we’re doing upgrades and swapping out versions and building the reports, it’s really easy to use." Please describe your company and role there. I work for a major software and technology company. I work in a specific software product group for data integration tools. It’s really a group of products. What was your goal for using JReport? My team is focused on data quality or data cleansing like deduplication and standardization. That’s our quality stage product. We have data extract, transform, and load, or ETL. That’s our data stage product. We have a data profiling offering called information analyzer and that allows you to analyze your source system data before you integrate it so it checks the sparsity and the cardinality. These three different engines or components are marketed under this umbrella product or suite. We have acquired these three products more than 10 years ago. Prior to that, we went out, and we knew we wanted to embed reporting within our products and the reporting that we embed is not an open use BI [business intelligence] or analytics-type offering. It’s purely for reports based on the functionality of our products. It’s a big set of canned reports that we provide to customers based on the functionality of our data integration products and the customers also have the ability to build their own custom reports but it’s just on the functionality, the success rates, the status, and the outcomes of our data integration processes of our products. Ten years ago, we knew we’d have to OEM [original equipment manufacturer] something for this because it’s essential software. We didn’t have any capabilities of reporting. We knew we wanted something that was pure Java, something very embeddable, something that would allow us to work with our data sources on the back end. We also wanted the usability and the embed ability and the right price point. Please describe how JReport is used within your organization currently. We’ve been embedding JReport within our product suite for a good 10 years. We are essentially pulling data from various sources and reporting on it. Our data is only sometimes in a database, sometimes it’s XML, sometimes it’s just files. We needed the flexibility of what you could report against on the back-end. What was your process for selecting JReport? We really looked at most everything out there. For our specific implementation of what we were doing, JReport was the best. We needed something 100 percent pure Java and it met that criteria. We needed something very lightweight and embeddable. We needed to be able to report equally well against RDBMS [relational database management system] text, and XML. We also needed it to support clustering. To give a sense of the size of your investment with Jinfonet Software, can you please detail your annual investment? I’m sorry but that number is confidential. Also, I don’t think it would give an accurate picture to potential users who would use JReport for more traditional BI uses. Can you assess their pricing and support? We’re not your typical end user. We’re an OEM customer so we pay a flat fee for license, distribution, and support per year. We take their stuff, we build or update our reports, we embed it within our products, and then we distribute. It’s an unlimited distribution model so it’s a different pricing model than an end customer. It’s a fair price for us and it makes sense for them too because they get some revenue, and it pays for their support. Their support has been great. Now and then, we’ve had some enhancement requests that they’ve listened to and delivered on. They’re very responsive. I think they would consider us an important customer and they’re very accommodating. They’ve matched our SLAs [service-level agreement] in terms of escalations and if it’s a priority one or severity one type critical issue, they’re on it 24/7. We can have calls every day with them, if necessary. It matches up well with our support model. We’ve never had any big issues in terms of support. They’ve been very proactive. Are there certain things users should be aware of or some features that are unique? We don’t use it like a lot of power BI tool users would use a BI tool. We don’t want to say it’s oversimplified, but we have a big inventory of prebuilt reports that we distribute out and then customers build their own different from that. It’s pretty quick and easy for our developers to build and update these reports. I’m familiar with BI tools, and I think it has a lot of the same capabilities but, again, I’m not using JReport like a heavy-duty power BI user would. We use JReport in a pretty simplified way. Can you please assess the ease of use? Yes. The platform is very easy to use for my team. It’s easy to embed also. When we’re doing upgrades and swapping out versions and building the reports, it’s really easy to use. It’s not like the team that we have building or updating these reports are real heavy hitter-type consultants. We have them done overseas and it’s a pretty low skill set required. It’s very easy to use. It does everything we need it to do and more. We ask you to rate JReport on a scale of one to five, with five being the top score. What would you give them out of five for ease of use? For cost, as in pricing and value for the money? For the quality of features available that are relevant to your organization?